1. Don’t Treat It As An Abnormality: Albeit we treat OCD as a ‘disorder’, but it is the most common form of anxiety issues. You should not treat your child differently for the compulsive need he experiences. Most children can disguise their ritualistic behavior quite well, until it becomes apparent much later. More often than not, they try to include their parents in these rituals to make them seem more like a normal occurrence. They do so because they tend to realize that it is out of the ordinary, and they feel a need to effectively normalize their behavior. Some rituals are acceptable and mild while some others are harmful. As parents, we need to realize which rituals are okay for our kids to follow and which ones should be put a stop to. For example, washing hands and feet after roughing up in the backyard makes sense for your kid. It will help clean away the dust, grime, and potential infections. However, doing it over and over again, can make him prone to catching a cold and falling sick. Also, how you speak to your kid when he is constantly washing his hands, weighs in. Instead of admonishing him, you can take a more positive stance and point it out a couple of times. However, make sure you don’t do it all the time. Your kid has to learn to fight this battle and if you constantly badger him about it, he is only going to practice his rituals in secrecy. OCD can make your kid’s life difficult as well as affect your family life. The need to practice the rituals ends up consuming time and energy, which delays other more important tasks like homework and chores. Your primary aim should be to understand this particular form of anxiety disorder and the reasons for it. For most kids, OCD stems from the need to have certain things in perfect order and not finding the order may bother them. For example, your kid might line up his toys in a particular order. If you happened to rearrange them while dusting, he will continue to rearrange them in the order he thinks appropriate. Also, they have a fear of germs, which would explain the constant need to wash hands. Most kids don’t realize they are repeating behaviors. So, as a parent, it is your duty to ask your child why he feels the need to repeat certain behaviors, if and when he does them. Whatever your kids’ compulsions, you should not participate in them. You have to show him that he too can defeat it by taking a stand against the rituals. He will invite you, in his efforts to normalize his actions. However, you must stay calm and let him know that you will not be giving in. Controlling OCD is not a job done overnight. It requires immense amounts of patience and courage. For your little angel, you have to be strong and provide all the support he needs. By refusing to be part of his rituals, you can guide him out of the mire of gripping anxiety and help exercise control. Kids are also very secretive with their behavior rituals. So, it is important that you keep and eye and note any changes in your kid’s behavior and practice of newer rituals. Children do not like OCD, but more often than not they are slaves to ritualistic behavior and may not notice that they are doing it. So, keep your eyes open for other odd or irrational behavior that your kid might be following. If there is a pattern, it is likely to be another of his rituals. Being aware will enable you to work with your kid to jointly conquer his OCD. Obsessive Compulsive Disorder is difficult to live with. Whenever you think one behavior has been dealt with, something else will pop up. So, don’t teach your kid to give up the behavior, just gain control over it. As long as your kid can prevent his rituals from spiraling out of control, he will be able to conduct life with as much ease as the next kid on the bus to school. 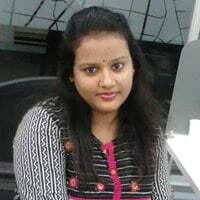 Aradhana Pandey is a writer from India. She covers topics concerning parenting, child nutrition, wellness, health and lifestyle. She has more than 150+ publications from reputable sites like Huffington Post, Natural news, Elephant Journal, Lifehacker and MomJunction.com to her credit. Aradhana writes to inspire and motivate people to adopt healthy habits and live a stress-free lifestyle. I will be a volunteer for a program for OCD children soon and I want to get some tips for myself. I found yours. Hope that I can do well then! Bless you for volunteering your time! I hope it’s a rewarding experience for both you and the kids you work with.